I guess I shouldn't be terribly surprised that, halfway through 2011, Internet Explorer still accounts for nearly 50% of the traffic to this blog. What does surprise me, though is that Google Chrome is only 5 percentage points behind Firefox. I thought the gap would be a lot bigger. 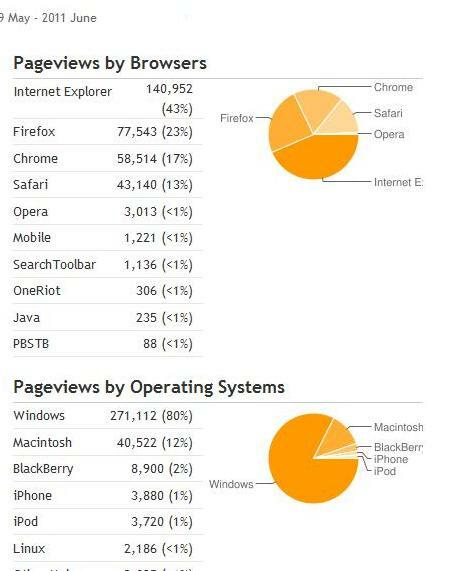 And I'm absolutely flabbergasted that the third most popular operating system coming to this blog is BLACKBERRY! ?